We want to see your radio succeed. 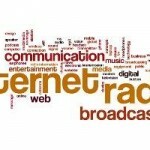 On this page we will provide some handy resources for your online radio station. We have in-house commercials to spread the word about your favorite radio SHOUTcast hosting company and we have links to content that will help you build content for your radio station and attract new listeners. Contact us to setup a dropbox share and you will get a new show every week. Many artists want exposure via the internet so they are promoting their material via music marketing and distribution websites. Click here for a small list of some promo music for radio stations and deejays.